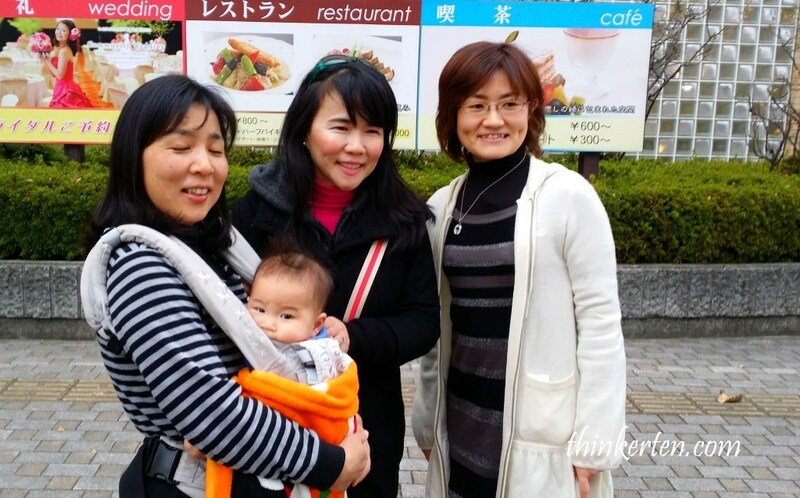 Kagoshima to Kumamoto – How far? From Kagoshima to Kumamoto is about 175 km, took us about 2.5 hours. Kuma mean bear in English and Moto is origin, so Kumamoto is the origin of bear. It has another nickname called Hi no Kuni meaning Fire Country because of the nearby giant volcano Mt Aso and Mori no Miyako/Capital of the forest. I did my postgraduate studies in Kumamoto University so coming back to Kumamoto means meeting old University friends, Kuni chan and Kumi chan. By the way, Chan is just same as san in Japanese, except chan has a “cute” pronouncing of -san so chan is used for babies, young children, grandparents and teenagers. 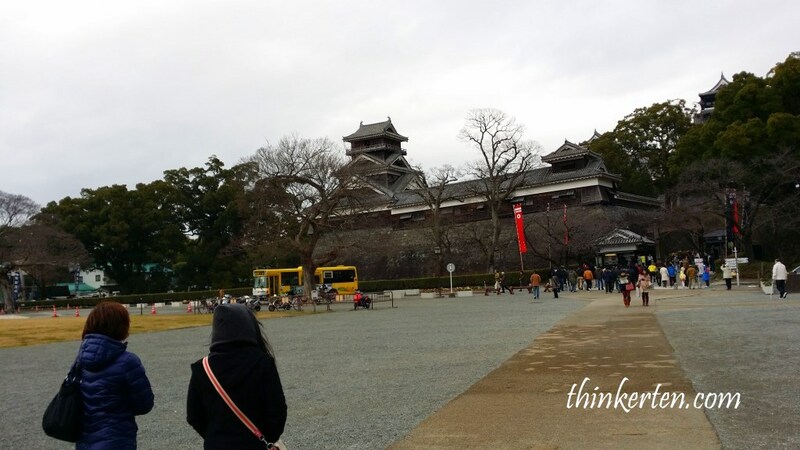 Kumamoto Castle/熊本城 is one of the most beautiful castles in Japan, and the third largest. 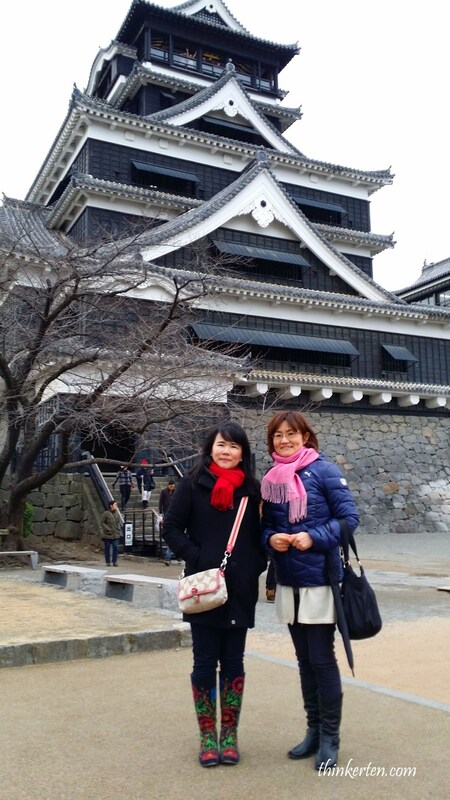 There are 3 important castles in Japan, Matsumoto, Kumamoto and Himeji Castle. I have been to first two but not been to Himeji Castle yet. There are more than 100 castles in Japan but Kumamoto castle is one of the impressive castles one should not miss while in Kyushu. There were many tourists around the world visited the castle when I was there as it is considered one of the top attraction in Kyushu. 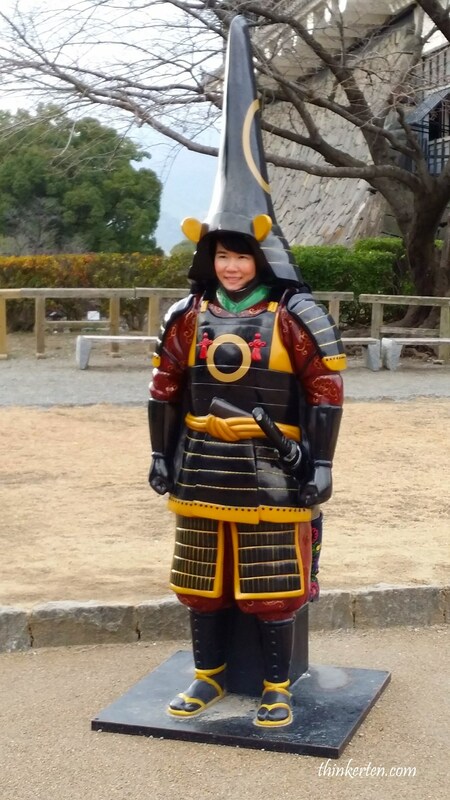 Were there any female samurai? Yes, it is called Onna bugeisha, powerful female samurai warrior but not common. I pretend to be one of them! 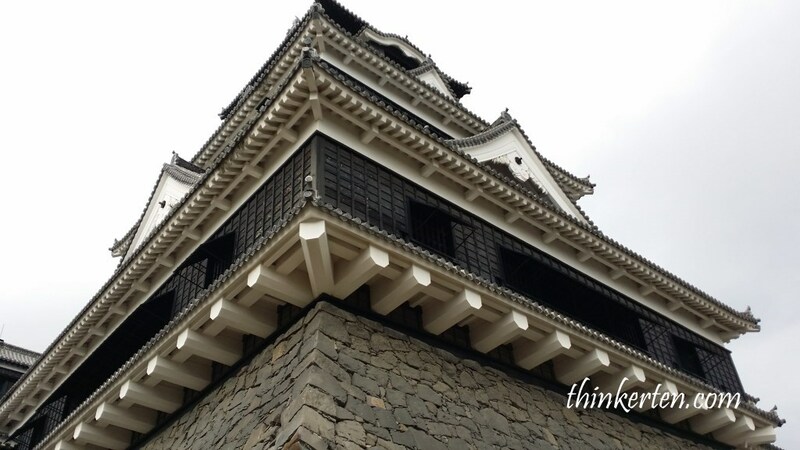 The stone wall is one of Kumamoto Castle’s key features. The stone wall was built with a steady base angle and very steep and high which make the invaders hard to climb up and would slide back down. If you have seen other castles in Japan, you will notice Kumamoto Castle’s prominent feature, that is the high stone wall. Most people knew the best timing to visit Japan is spring because everywhere is full of Cherry blossom. It is especially pretty in Kumamto Castle as there are nearly thousand cherry blossom trees planted around this area. I was here in the winter so no cherry blossom but less crowded for sure. Me and my friend Kuni chan posing for picture with Kumamoto Castle as our backdrop, red and pink scarf make a nice picture. 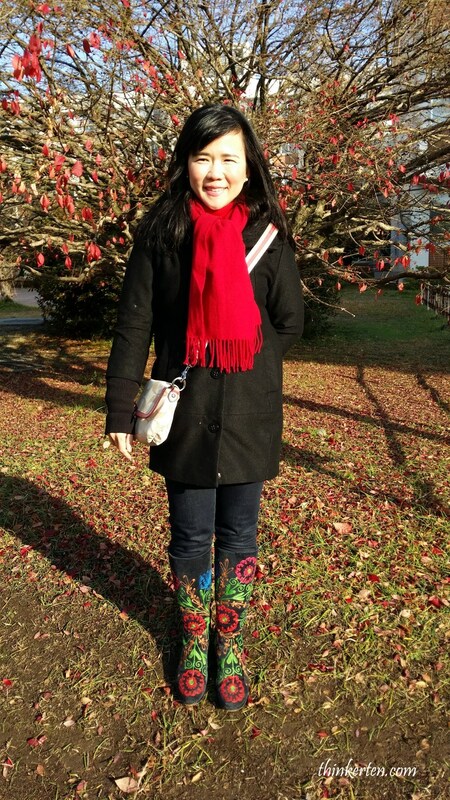 Kuni chan is a teacher for students with special needs now. 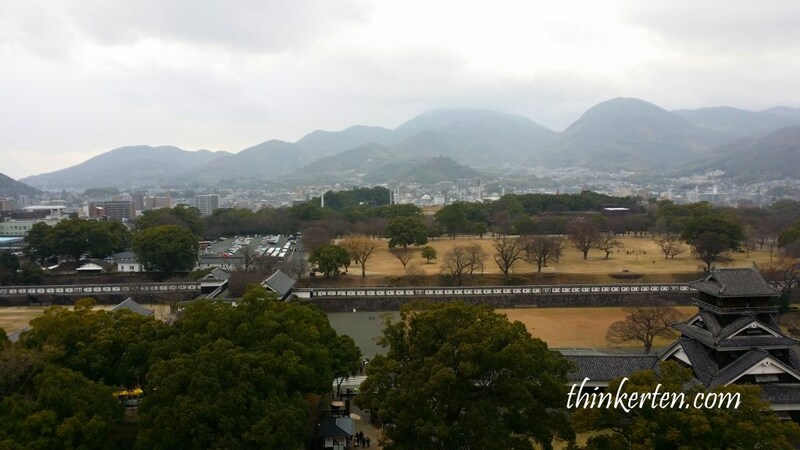 Some view from top of the castle, as you can see Kumamoto City is surrounded by mountains and it is called as Bonchi/盆地 in Japanese. Bonchi is like a basin between mountains. What it means is both the winter cold and summer heat can be severe and the highest record of a difference was 24 C between the high and low temperature of a day. 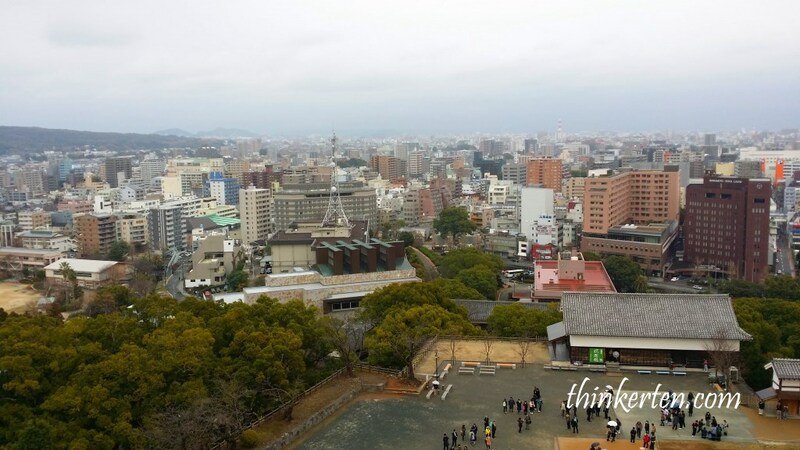 The rainfall in Kumamoto is also considered one of the highest in Kyushu. If you are coming in July – Aug, you would experience raining day most of the time. 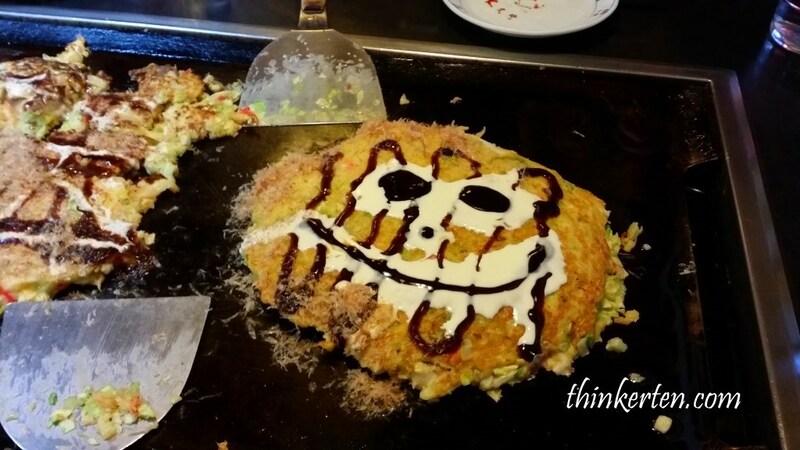 Okonomiyaki is a Japanese savoury pancake or omelette containing a variety of ingredients, such as seafood, ham, cabbage and etc. Daimonji is the place me and Kumi chan used to go during our students time, simply it was cheap and fun to cook. An order cost about 500-800yen (USD $ 4-7 ). We went back to Daimonji to re-collect of our old memories. 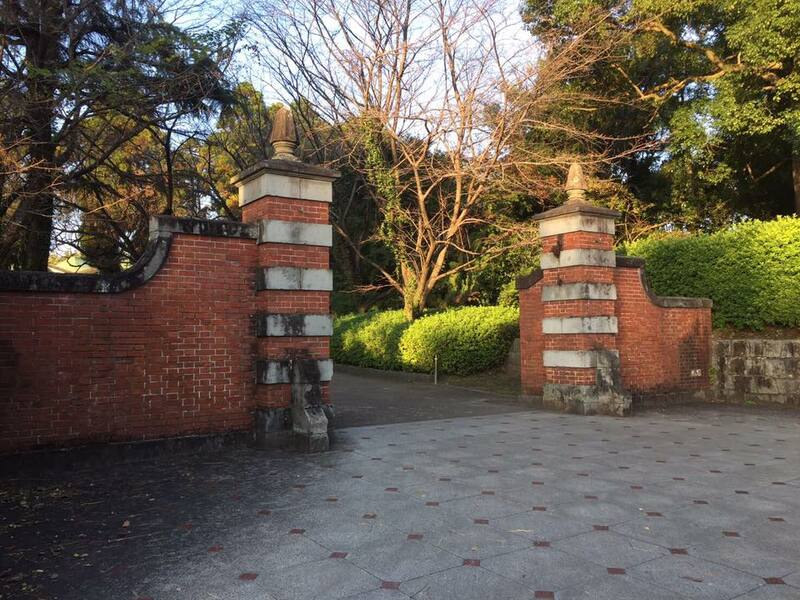 Akamon is the most iconic doorway and is the popular meeting point for students. 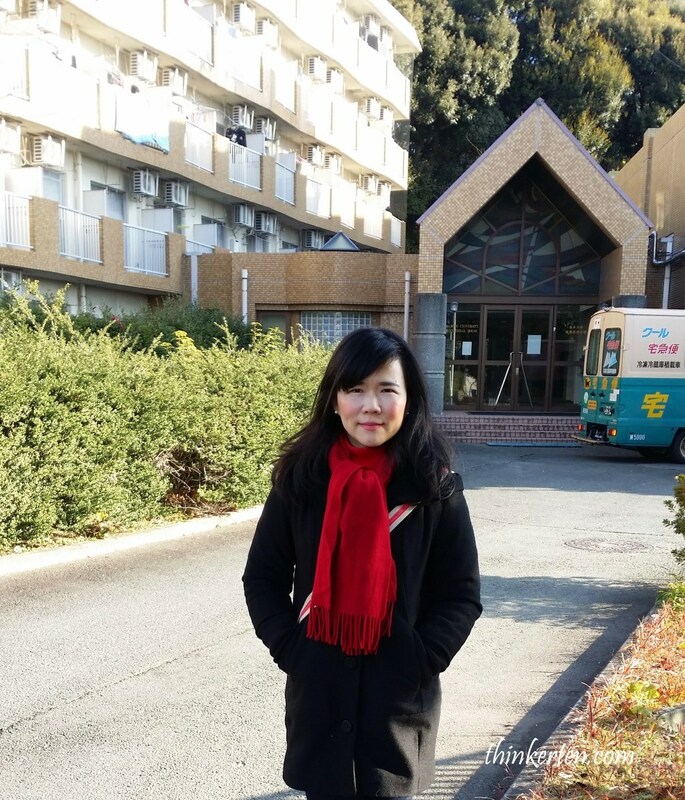 I went back to Kumamoto University and tour around the school campus. The buildings are still the same, no change. There weren’t many students in the campus as it was winter holiday. This hotel is super small and the ceiling is really low as it is located in the heart of Kumamoto City. If you are self drive, you can choose hotel which is located further from the Kumamoto City which has bigger space. If you don’t mind small space and would like to experience how Japanese life is, this is hotel for you. Green Rich Hotel SuizenjiKagoshima to Kumamoto - How far?Key Features of Kumamoto CastleKumamoto /熊本 - Bear originKumamoto Castle - 3rd Largest Castle in JapanKumamoto is a Bonchi/盆地Kumamoto University - The RED GATE/AkamonKumamoto University DormitoryOkonomiyaki at Daimonji /大文字Were there any female samurai?